For any group fitness instructor who has had to go through the agony of wearing saggy, see-through workout pants, this Victoria’s Secret Sport review is for you. I’ve had my fair share of terrible workout bottoms, and I know I’m not alone. There are so many pants out there that will stretch out after a couple washes, and start to fall at the waist during yoga or strength training. It’s also mortifying to have your underwear or skin show through the pants because the fabric is too thin. I experienced this first hand a few years ago in one of my 6 a.m. weekday strength classes. One of my participants was courteous enough to tell me after class that when i bent into child’s pose to stretch my pants got really thin —talk about mortifying. After that experience, I thought my search for the perfect workout pants would never end. But then I stumbled upon Victoria’s Secret Sport, and now I finally have a go-to pair of workout bottoms. The Victoria’s Secret Sport Knockout Tight, Crop or Capri will become a staple in your fitness wardrobe. What I love about the workout tight, capri and crop is that they’re high rise, so you can squat and twist without worrying that the pants are going to sag too low. They’re also 23 percent Lycra, and I’ve washed mine a bunch of times and they’re still holding up good. The one thing to remember when it comes to fit is that these run pretty small. I wear a size small, and they sometimes feel like they are suctioned to my body. When I’m teaching group exercises classes, it’s great because that fit helps to make sure the pants stay up and support me throughout the class. But, they’re not the type of pants you’d wear to lounge around the house or get cozy. Once you shimmy into these bad boys, you’ll feel inspired to work out. They’re those types of pants. The fabric is super thick — it feels like a scuba material. The fabric does not show through no matter how you twist and turn. Some of the fabrics do have a sheen to them, which makes it seem like you can see through it, but it really is thick. If you prefer lightweight, breathable fabrics, this may not be for you. I personally love the sturdiness and thickness of the fabric. So far, I’ve gone pretty simple in my pant selection. I have two pairs of tights — one all black and the other black with some pink details. I also have a pair of black crop pants with a rainbow side detail. I did buy my mom a pair of purple capri pants for Christmas that she liked. But, when looking online, they had a lot of fun options to choose from. There are bold prints, more simple ones like the ones I have and then solid colors, as well. At full price, the knockout crop, capri and tight options are costly. I just can’t bring myself to shell out $60+ on a pair of workout pants. But, the good news is that these go on sale all the time, since the company is really pushing their new Victoria Sport brand. You’ll definitely want to wait for a sale, and you’ll likely be able to get them for around $30. If you’ve read this far into my Victoria’s Secret Sport review, it should come as no surprise that I’m a huge fan of these workout bottoms. They give me peace of mind that my clothes will hold up against my workout, so I can focus on giving my members the best fitness class possible. For more group exercise posts, check out the group exercise ideas and tips page. February was a fun month for me. 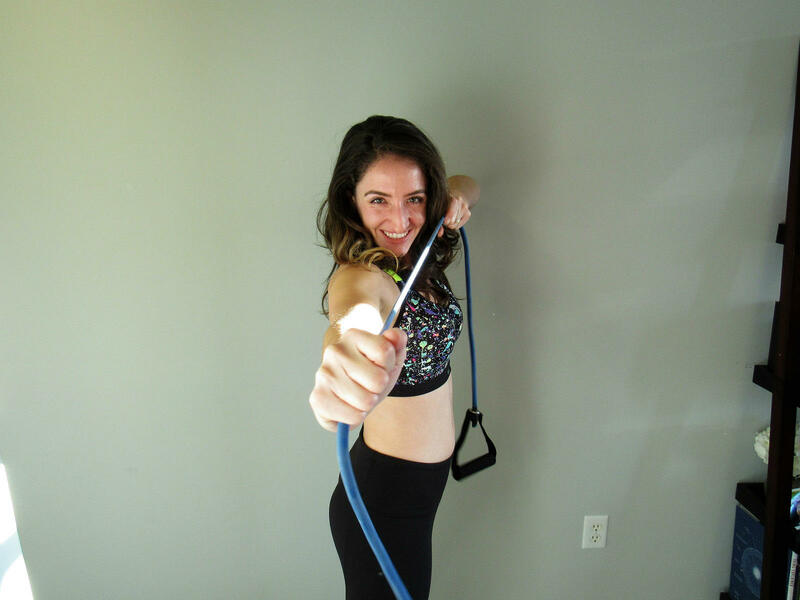 I got to share resistance band workouts and how I became a spinning instructor with my favorite fitness instructors and enthusiasts (yes, that’s you :)). On a personal note, I got to go bridesmaids’ dress shopping with my gals and celebrate National Margarita Day/Presidents’ Day with friends. My wedding is this October, so buckle your seat belts because it’s going to be a wild ride until then, but I will continue to post most Mondays and Wednesdays in between planning. I may have been busy this month, but that didn’t stop me from keeping up on the latest fitness tips and trends. 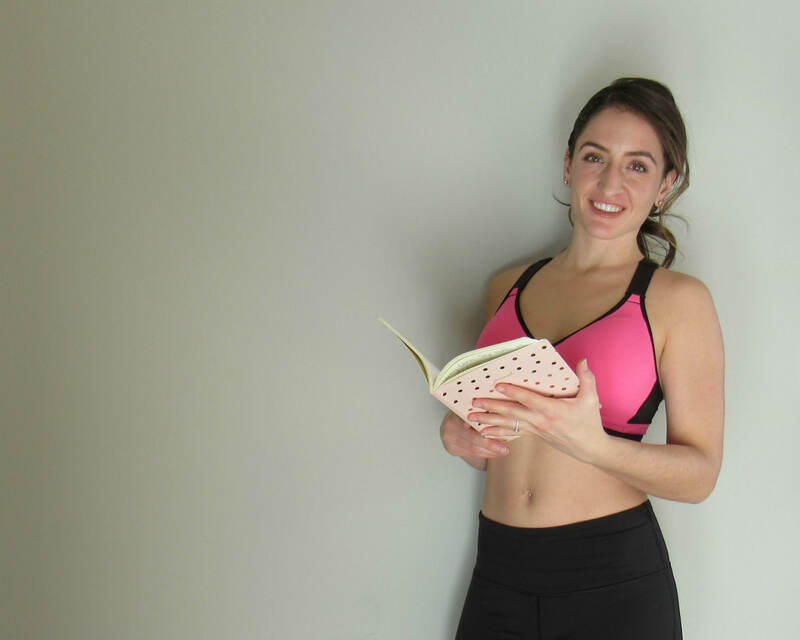 I pulled together a list of my favorite articles for fitness instructors, so you can easily keep up on what’s happening in the health, wellness and exercise industry. Shay Mitchell (or should I say SLAY Mitchell?) recently posted her workout on Instagram and it is straight fire. SELF broke down all the moves in the video here. Also, those braids?! #GOALS. How to pack on muscle with eccentric exercises — I love seeing articles that teach the body mechanics behind exercise. Refinery29’s hip dip plank exercise. I anticipate group fitness participants bringing their booty too high in the air for this one, so something you’ll want to monitor when you introduce in your next Group X class. Why Shape Magazine’s fitness director Jaclyn Emerick wakes up at 5 a.m. everyday. Advice for anyone looking to become a morning person. Fun Lower-body exercises to add to your fitness routine for dynamic balance. On days where you need some serious #fitspo, check out these 28 black fitness pros you should be following on Instagram. 5 creative body-weight exercises to mix things up. My kind of Valentine’s Day love: why exercise is good for the heart. And, in case you missed it, my most popular blog post from last month was this Valentine’s Day spin playlist. I’ll tell you, it was a big hit with my spinning classes! 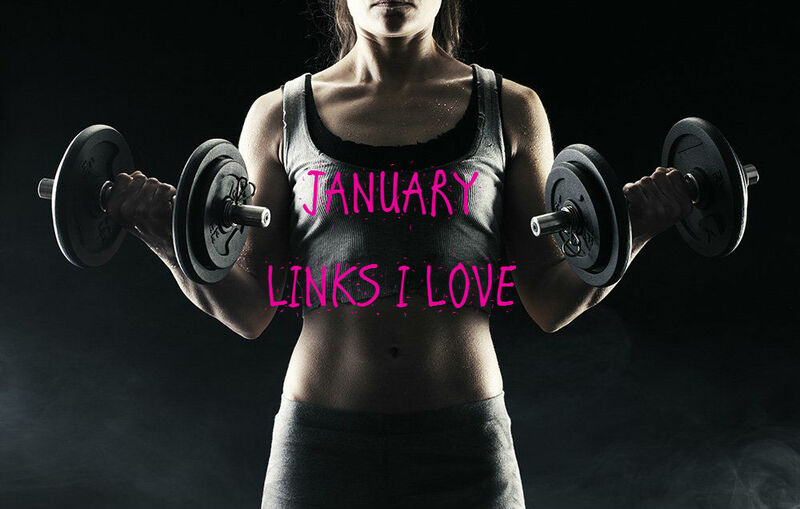 If you liked this list, you’ll also like my link roundups from January and December. You can also check out other group exercise ideas and tips here. Late last year, my gym finally got new (to us) indoor cycling bikes with consoles. Even though they’re used bikes, it’s so exciting to have consoles that we can use to measure different aspects of the ride. One participant even commented that indoor cycling rides are more challenging when you have a console to hold you accountable and motivate you. The only bummer I find with most indoor cycling bike consoles, including ours, is that the numbers can vary so drastically from bike to bike, and sometimes even day to day on the same bike. Especially as the indoor cycling bike consoles start to get some wear and tear, they’re easily off calibration, and usually read much different numbers than you would see if you were riding outside. So, here’s the problem: how do you suggest a range to work within for any of the items displayed on the console (speed, RPM, watts, etc.) when the bikes’ calibration varies so drastically? For example, you might say, “your WATTS should be between 100 and 500,” but what if their WATTS are calculated on a bike console with an inaccurate calibration? Even if the calibration is correct, 100 to 500 is such a huge range to work with as a participant. My solution? Do the same interval more than once, and use the first interval as a guide to match or surpass in the remaining intervals. That way, it doesn’t really matter if the numbers are inaccurate, because riders will be able to reach their max using measurements they establish instead. That way, participants are pushing to find their very best WATTS they’re able to ride that day, despite any inaccurate indoor cycling bike consoles’ calibrations, and can use that to guide the rest of their ride. Another measure I like to use is distance and time. These two are nice companion measurements, and you can do quite a few exercises with them. Creating a guide measurement to follow for the rest of the class helps to avoid the issues we typically find when offering broad ranges for participants to follow. Make sure that you start over each week, asking participants to observe and measure their numbers on the first interval, since they may switch bikes from week to week or their indoor cycling bike consoles may have been altered since. Then, use that metric as a guide to match or beat during other intervals in the class. For more tips and tricks, check out the group exercise ideas page. You can also find spinning playlists and workouts here. Sometimes beyond all of our control, we show up to teach our group fitness class only to find just a couple participants ready to join in. I know firsthand that this can feel embarrassing and stressful. But, when there are holidays like Presidents’ Day, or it’s the first beautiful sunshine-y Saturday after months of gloomy weather, it’s hard to fault your regulars that decide to skip class. Here are a few group fitness instructor tips for making the most of smaller class sizes. Do not focus on what (or who) is missing. A natural reaction to walking into a seemingly empty room is to ask, “Where is everyone?” However, you do not want to call attention to the fact that your class is small today. If you focus on what’s missing, you make it seem like the participants that did show up are not important. Why give any extra energy or attention to the folks that aren’t there when you could be instead focusing on giving the ones that did show up the best workout of their lives? Frame the small group fitness class size as a positive. What can you do with this group of people that you couldn’t do with a larger group? Can you play that song that you love that one of your no-show regulars always complains about? Can you do those leg exercises that you normally can’t do because they take up too much room? Is there any equipment you can dust off because there’s now enough to go around? Take advantage of the smaller class size to do some of the things you normally can’t do. Throw in some of those all-time favorite exercises. If folks usually love the arm exercise routine you do, then use it as an opportunity to please the participants that showed up. Crowd favorites are my go-to on days where the class size is smaller or I’m feeling off for some reason. Above all else, give the class a challenging workout. Participants are willing to overlook a lot as long as they get a good workout. Maybe they are the only ones who showed up, or maybe you led the same routine you did last week with the same playlist, but as long as they leave feeling like they got the workout they wanted, it’s all good. It can be unnerving to walk into an almost empty group fitness class. As long as you try to spin it as a positive, and focus on giving the folks that did show up the workout they want, everyone will be happy. It also makes me feel better to think that most people probably won’t remember this class in a couple months, maybe even weeks, and we still get paid no matter how many people show up. For more tips and tricks, check out the group exercise ideas page. Realizing that I got my indoor cycling Schwinn certification back in 2015 to officially become a spinning instructor, this review is long, long overdue! I want to share my experience with you today to help those interested in the Schwinn certification know what to expect. For background, I passed my ACE Fitness group exercise certification test in 2010, and started teaching strength and step, plus subbing spin classes every once in a blue moon. In 2015, one of my gyms needed a new permanent instructor for an evening spin class, and I jumped at the opportunity. The only caveat: I needed to get a spinning certification. Every gym has a different policy — some need just a general group exercise certification and others have more specific requirements. So, it’s a good idea to check with the gym(s) you want to teach at before getting new certifications. I had taken a couple Schwinn classes at the SCW Mania convention that same year, and had already fallen in love with the brand. With that in mind, I knew I wanted to take a Schwinn certification course. 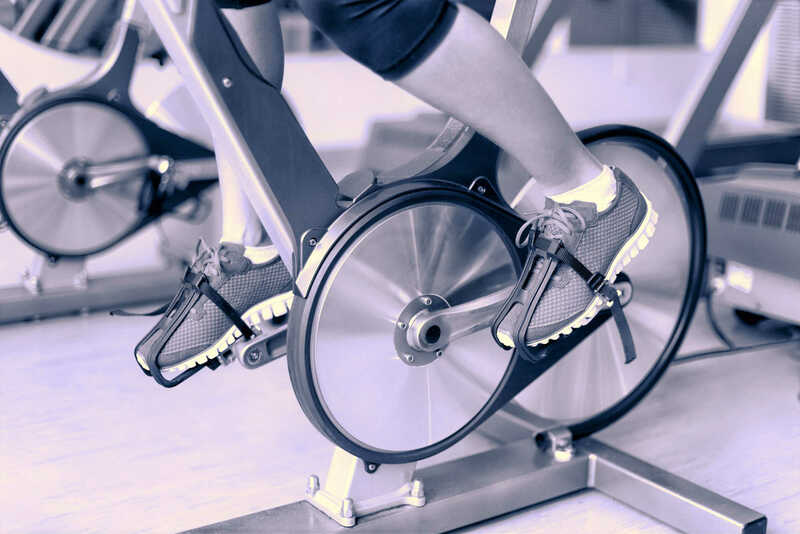 Up until then, I had been dragging my feet because of the extra costs, but I learned that there’s only a one-time fee to get your Schwinn certification — no extra costs associated with continuing education! Woo! So, I signed up for a course with Shannon Fable at Crunch Fitness in San Francisco. Shannon is an IDEA and ACE Instructor of the Year and a fitness business and programming consultant. She’s helped brands such as Anytime Fitness, Schwinn®, POWER SYSTEMS®, ACE and BOSU® over the past 20 years. Shannon is a member of the ACE Board of Directors, is the owner of GroupEx PRO®, a cloud based group fitness management tool, and Balletone®. I loved Shannon’s presentation style. She was truly authentic and genuine, which is rare in this industry. I give major props to Schwinn for how they select their master instructors. They are some of the best in the biz and will get you pumped to be teaching spin classes. Breaks: The day is jam-packed. We had a lunch break, and a few quick bathroom breaks. Overall, the training was great. I was nervous about taking the class with a bunch of really experienced riders, but the class was much more diverse than I expected. There are people that have never taught a single class before, and there are others that have been teaching for decades. Most of the participants there were really nice and made the group/partner work fun. The morning kicked off with an overview of the technical stuff — bike functions, how to use the monitors/consoles, and body mechanics on the bikes. We went through how to fit users for the bikes in both a “quick fit” and “high performance fit”. This was one of my favorite parts, because it’s one of the most important elements of teaching spinning classes. The bike fit will make or break someone’s experience in your class, so this formal training was critical. Then, we talked through class planning, cueing, music and motivation. Shannon did recommend avoiding asking participants for song suggestions, because then you’ll be stuck playing whatever song they suggest, whether it’s good or bad — funny, ’cause it’s true! Of course, we also did two rides throughout the day to practice and experience what we were learning. Would I recommend Schwinn Cycling? As you can probably tell, I loved getting my Schwinn certification to officially become a spinning instructor, and I would recommend it to anyone interested in teaching. Unfortunately, I haven’t had much experience with the other spinning certification programs, so I can’t really compare them for you today. I can say that my experience with Schwinn and as a spinning instructor has been excellent. Since I already had a class lined up, I was able to dive right in to teaching, and have made the money back that it cost to take the course. I love teaching spin classes, there’s something unique about being stationed on a bike that allows instructors to get creative with how we motivate the class. Participants are able to get more introspective, so we can tap into personalized, goal-oriented motivational cues. If you’re interested in taking a Schwinn certification workshop, check out their event calendar here. You may also like my recent Valentine’s Day spin workout and playlist, or check out other group exercise tips. January marks a busy time for fitness instructors, with the New Year’s resolution gym-goers packing classes at all hours. It’s also a good time for group exercise instructors to add in new workout playlists and freshen up their routines, to add some new material for the new year. With so much going on, it’s hard to keep up with the latest trends and articles in the fitness industry. From new exercise ideas to tips for maximizing workout efficiency, this month’s links list is jam-packed with new ideas to bring to your next Group X class. Here’s a look at my favorite fitness and wellness-themed articles from January to help my fellow fitness instructors stay up-to-date on what’s happening in the industry. Even just a little bit of exercise will improve your mood. How to choose the right weights when strength training. For the first time since 2014, ACE Fitness as developed a new key policy position statement — the inactivity epidemic. How to maximize efficiency of workout time using creative exercise techniques. The only running playlist you need by Refinery29. The six-pack ab moves your trainer didn’t tell you about. 14 back and shoulder exercises for a strong upper body. Ways to make your workout more effective. Men’s Journal’s “Getting Fit from Scratch” series has so many great workout ideas! How to turn exercise into a lifelong habit or “practice” like they do in yoga. How to be mindful at your desk. If you liked this post, you’ll also like my fitness and wellness link roundups from this past December and November. You can also check out the group exercise ideas page for similar posts for fitness instructors. I always love to hear about a fitness brand making good, conscious decisions on behalf of the customer, and sometimes even the world, without prioritizing profits. According to Fast Company, last week Patagonia announced they will soon offer store credit to customers returning their old Patagonia gear. Then, they’ll clean the item up and repair it so it can be resold on the website. Sure, maybe they won’t sell as many new clothes, but I’m confident that many people will continue to purchase from the fitness brand in the future, given their consumer-conscious decision making. In order for this program to work, Patagonia needs to make durable outdoor fitness gear, which it does. The goal is to reduce the amount of jackets someone will need in their lifetime, by keeping the same high-quality jacket for longer. That way, the company ends up making less jackets, which results in a smaller impact on the environment. 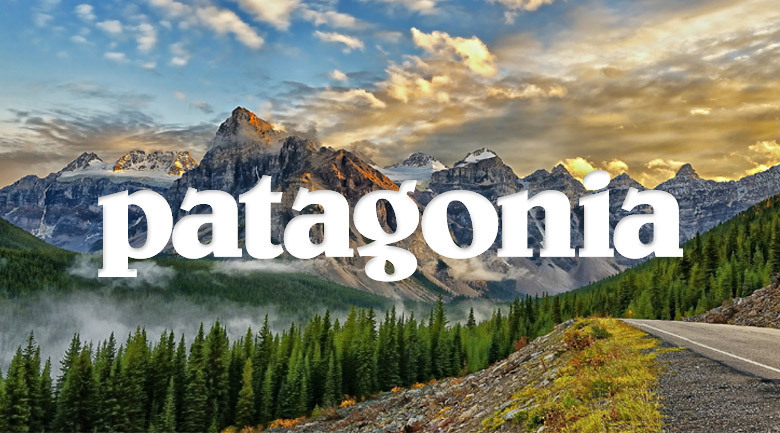 Way to go, Patagonia! Check back in on the group exercise ideas and tips page for more fitness brand news. What’s Part of the Group Exercise Instructor Job Description? A typical group exercise instructor job description leaves a lot to be desired. Sure, you sort of already know what you’ll be doing if you’ve ever taken a group fitness class before, but what about intangible qualities that are important for Group X instructors to have? And, what about embracing and embodying the unique culture at each gym? After a few searches, I came up with two group exercise instructor job descriptions that I found particularly helpful in understanding what is expected of you as an instructor, and what the culture is like at the gym. Check out some of my favorite lines from the 24 Hour Fitness and Club Sport job descriptions. If you are looking to start teaching group exercise classes, here’s a pro tip. I would recommend trying to find the email address for the group fitness director, and sharing your resume with them directly. I’ve been most successful in getting on a new class schedule when I’ve either sent an email directly or known someone at the gym already who was able to refer me. If you’re looking to become a fitness instructor, you’re likely already aware that you’ll need to get a certification to teach, like ACE or AFAA. As long as you pass one of these tests and are CPR/AED certified, you can officially teach a class. But, imagine a certified group fitness instructor walking into class on their very first day without having ever taught a fitness class in their life — pretty terrifying for both the instructor and participants. Since it’s not required as part of the certification, how do aspiring fitness instructors get the experience they need to successfully teach a class? My suggestion: find an expert group fitness instructor to be your mentor. I trained to become a fitness instructor through a year-long program at UCLA, which included getting paired with a mentor and assisting in that person’s group fitness class each week. This had the biggest impact on my actual ability to teach an exercise class. I was able to start by just teaching the warm-up, getting feedback from the instructor each week on how to improve, and building up to teaching more and more of the class. Since having a mentor was so pivotal to my experience in becoming a fitness instructor, I’d like to offer a few suggestions for anyone looking for a group fitness mentor. If you want to become a fitness instructor, here’s how to find the right mentor. Step One: take a ton of group exercise classes with a ton of different instructors. The best way to get experience with group exercise is to participate in a lot of classes. That way, you’ll start to notice what types of teaching styles resonate with you. I would even suggest taking classes out of your comfort zone — dance, spinning, aqua, boot camp, kickboxing, etc. Normally, we get really excited about one or two formats, and have no idea what goes on in the other classes. Who knows, you may find out you love one of the less popular classes! Step Two: talk to the group fitness instructors after class. Once you’ve taken enough classes, start to talk to the instructors that teach the classes you really like. Instructors are usually pretty distracted before class, but after class is the perfect time to chat. You can start by introducing yourself, and talking generally about the class. Build a relationship or rapport with the instructor, so he or she can start to recognize you in class and help you with your workout. From there, you’ll likely want to let some of the instructors know that you’re interested in teaching, and are planning to take your certification test. Step Three: ask one to be your mentor as you become a fitness instructor. After you begin to build a rapport with different instructors, your gut will likely tell you which instructor you should ask to help mentor you. Then, go up and let them know that you’re training to become a group fitness instructor, and ask if they would be open to being a mentor for you. Specifically, you want to see if you can teach a short segment, like just the warm-up or a lunge routine, in one of their next classes. They may be open to giving you their email address, so you can email them your routine for their input beforehand. Finally, you’ll want to see if they would be willing to stay after their class for just a few minutes to provide feedback on the segment you taught that day. If anyone helps mentor you as you become a fitness instructor, make sure to thank them. A handwritten thank you note goes a long way. Depending on how much time they spend helping you, you might also want to consider getting them a small gift card to Starbucks or a frozen yogurt shop. If you’re a group fitness instructor in need of some exercise inspiration or new workout ideas, a health and fitness expo or convention is the ultimate way to break out of a rut. After spending the day surrounded by fitness professionals and immersed in wellness conversations, it’s hard not to feel reinvigorated. Even if you don’t need a motivation refresh, a health and fitness expo or convention is a great way to network, learn new moves and get updates on the latest happenings in the fitness industry. I do have one caveat: they can be expensive! If you only teach one group fitness class a week as a side hobby, it can be hard to justify spending hundreds of dollars on a fitness gathering. There are ways to attend an expo or convention without breaking the bank. Consider activities in your area — if you can commute to and from each day, you’ll save major dough you would otherwise spend on hotels. You can also attend for one day instead of a full weekend. Some of the major shows have volunteer programs. I was a volunteer at the SCW Fitness convention in 2015 and loved it. Being a volunteer was much more affordable, and it helped me connect with other professionals I would have never talked to otherwise. I liked it so much that I’m going to be a volunteer again at this year’s SCW Fitness convention. If you’re looking for a health and fitness expo or convention in your area, here’s a list of some of the most popular events this year. Notably, I didn’t find any major events happening in June or December scheduled so far (as of January 15). This doesn’t include workshops, so check out your local certification websites to see what workshops are going on in your area. If you want to take your career in group fitness up a notch in 2017, I strongly encourage squeezing a health and fitness expo or convention into your schedule. For more tips and industry insights, check out the group exercise ideas page.